Size :41 x 8.5 in. 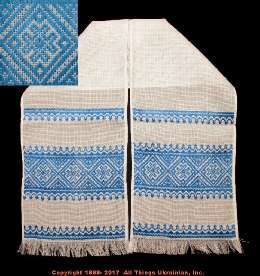 These are traditional Ukrainian embroidered towels that are used to adorn religious Icons, for wedding ceremonies or just to decorate a Ukrainian home. Prices, place of origin and availability are as marked. These are not screen prints but real embroideries and all are from Ukraine. There are 2 Techniques: Cross Stitch and Nyzynka. 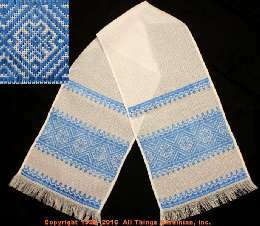 The Nyzynka technique creates a design by interweaving the thread in parallel stitches..